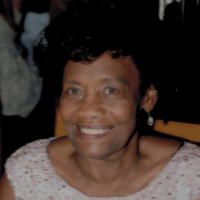 Wills Funeral Service"West Alabama Leading Funeral Directors "
Funeral services for Ms. Rosemary Saunders will be held Saturday, September 8, 2018, at 11 am at Rising Star Baptist Church, Rev. Gregory Tippins will officiate Burial will follow in Cedar Oak Memorial Park. The remains will lie in state one hour prior to service time at the church. Wills’ Funeral Service of Northport in charge of all arrangements.